​We now proceed to Scriptures bearing on the overthrow of Satan's empire. According to the Bible, our Lord Jesus and His glorified Church, acting as The Christ, Head and Body (Eph. 1:22, 23), are Jehovah's' primary agency in accomplishing this overthrow, though many human agencies co-operate to this end (Dan. 12:1; Rev. 17:14; 19:11-21). We are not to think that Jehovah has been an unconcerned observer of the ruthless reign of Satan over the human family. His love for our fallen race prevented such unconcern (John 3:16). Even before Satan's reign began, God prepared a plan for its overthrow. One feature of this plan is to keep Satan's activities within certain metes and bounds, while God prepares Jesus and the members of His Body, who together constitute The Christ, and their supporters, by development in various aspects, to become His agency for the overthrow of Satan's empire. To those ignorant of God's Plan, it could not but appear that Satan has been winning. His victory, however, has been only a seeming one. Actually, every feature of God's Plan, so far due, has been fulfilling with unfailing precision and success, despite every effort of Satan to thwart it. Even in his opposition to Jesus and His faithful disciples, Satan's seeming success has been a defeat for him; for his opposition furnished Jesus and His disciples such experiences as better enabled them to oppose and overcome him in their hearts, and thus to develop characters fitting them for the work, in due time, of overthrowing his empire, of establishing God's Kingdom and of ruling over the human race for its uplift to perfection. Thus God's Plan purposes that the wrath of Satan as well as the wrath of man shall surely praise Him, and that He will restrain the remainder of wrath (Psa. 76:10). Ever since the Fall of 1874 (when 6,000 years from Adam's fall ended—see the book The Time is at Hand) the human family has entered into a new epoch, characterized by the most unusual enlightenment, movements, events and changes of all history. We believe that this enlightenment and these movements, events and changes are more or less connected with the overthrow of Satan's empire. We can better visualize matters if we keep in mind the Scriptural figure of The Christ (Head and Body) coming forth as an army, whose Commander is the Lord Jesus, to attack Satan's empire (Rev. 17:14; 19:11-21). The weapon that He uses is a "sword that proceedeth out of his mouth" (Rev. 19:15, 21). Certainly no sane person would contend for the proposition that this is a literal sword. It evidently means the Truth on secular and religious subjects (Isa. 49:2; Hos. 6:5; Eph. 6:17; Heb. 4:12; Rev. 1:16; 2:12, 16). How appropriate to the Prince of Peace it is to use such a sword, and how inappropriate it would be for Him to use a literal sword; yes, by reason of the contrast, how appropriate to Him is the Sword of Truth as a weapon of warfare in a conflict with an empire whose weapon is untruth, and whose ruler is "the father of lies" (John 8:44; 2 Cor. 4:4)! It is even so; for the "Truth is mighty and shall prevail" in the war of The Christ upon Satan's empire. In this war Christ is making an attack with secular and religious Truth upon the ignorance that Satan has fostered and upon the errors that Satan has spread. However, the most particular objects of His attacks with the Sword of Truth have been the three foundation doctrines of Satan's empire: (1) The Divine Right of kings, (2) the Divine Right of aristocrats, and (3) the Divine Right of the clergy. Along with the overthrow of the people's confidence in these foundation doctrines of Satan's empire, the Lord Jesus has been undermining their faith in the three supporting doctrines of Satan's empire: the consciousness of the dead, the transformation of people at death into spirits which are conscious, and the bliss or torment of these spirits. (For a complete examination of the Scriptures treating of death, the death state, hell, the resurrection, etc., please see the book Life-Death-Hereafter.) 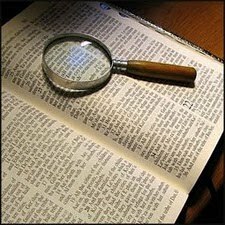 This He has done, especially from a Biblical standpoint, through able and devout students of the Scriptures, though science and reason also have co-operated in undermining belief in these three supporting errors of Satan's empire. From shortly after 1874 onward, as a result of our Lord's exposing and truth-revealing work, human society began to divide into two well-defined and mutually opposed classes: (1) the Conservatives—the rulers, aristocrats and clerics with their supporters, and (2) the Radicals—trade unionists, Socialists, Communists and anarchists with their supporters. Each of these two classes desires, because it is to their advantage, to maintain what, unknown to them, is actually Satan's empire. The friction between these two classes continued and increased greatly, until shortly before the Fall of 1914 a revolution subversive to Satan's chosen order of affairs was imminent. To avert this, Satan resorted to the World War, the great war of prophecy, the war that precedes the Battle of Armageddon, the war that is the first part of the great Day of the Lord. Some of the more important Bible references to it are Joel 3:9-14; Dan. 12:1; Matt. 24:21, 22; 1 Thes. 5:1-3. This war and the very year (1914) it was to begin, were forecast from the Bible many years before it began (see The Time is at Hand). It has had two phases, 1914-1918 and 1939-1945. The end of each phase of the World War found Satan's empire greatly weakened and debt-burdened almost to collapse, and with the Conservatives and Radicals more widely split than ever. To maintain his empire, Satan is being forced to resort to a World Revolution, which may break out in its fighting phase at any time. Some Biblical descriptions, in figurative language are: "the battle of that great day of God Almighty" (Rev. 16:14; Isa. 13:4, 5), "Armageddon" (Rev. 16:16), "a great earthquake" (Rev. 16:18; Heb. 12:26), "the fire of Jehovah's jealousy" (Zeph. 3:8; 2 Pet. 3:10, 12; Mal. 4:1; Nah. 1:5), "a whirlwind" and "a storm" (Nah. 1:3, 6, 7), "a tempest of hail," "a destroying storm" and "a flood of mighty waters" (Isa. 28:2; Nah. 1:4, 8), "the besom [broom] of destruction" (Isa. 14:23), "a furnace of fire" (Matt. 13:42), "a lake of fire" (Rev. 19:20), "the supper of the great God" (Rev. 19:17), and "the winepress of the fierceness and wrath of Almighty God" (Rev. 19:15). The World Revolution, with accompanying famines and pestilences, will devastate Satan's order of affairs. He will then seek to patch things up and may succeed somewhat for a time. But after a brief respite, World Anarchy will set in. Ezek. 14:21 by the term "sword" describes the War and Revolution, and by the noisome beast (a beast is not governed by law and order) fittingly describes the Anarchy of the Time of Trouble. Famines and pestilences are mentioned also. Satan's final effort after Anarchy will be against regathered Fleshly Israel. Rev. 20:1-3 describes Satan's binding; its language is of course figurative. We understand that the bottomless pit symbolizes error, which indeed is a pit, and from the standpoint of its having no real foundation, is well represented by a bottomless pit. A key in Bible symbols represents the power to lock or unlock. In this passage the key is used to lock up Satan in the bottomless pit. The great chain by which Satan is bound represents the Truth in its various parts, as mighty in its Biblical, factual and reasonable proofs. The binding of Satan, therefore, represents his restraint by the Truth, Biblically, factually and reasonably set forth. This binding work has been a gradual one, and when completed will have consisted of four stages. The wind, the earthquake and the fire of 1 Kings 19:11, 12 represent respectively the first three features of the Great Tribulation; the beginning of each of these three features in turn concludes one of the first three stages of Satan's binding. (1) The first stage of Satan's binding was from 1874 to 1914 and consisted of his increasing restraint by secular and religious Truth. The completion of the first stage of his binding was marked by the beginning of the World War in 1914, to which he resorted to maintain his empire, after realizing that he could no longer control it by its three foundation and three supporting doctrines. (2) Since then Satan is trying to maintain it by various other errors, especially combinationistic ones, as these are manifest in various treaties, the League of Nations, the World Court, the United Nations, NATO, SEATO, the European Economic Community, the European Union, other alliances among the nations, etc., combines among the financiers and unions and federations among the religious forces. By Biblical, factual and reasonable exhibitions of secular and religious Truth, Jesus is showing, and will continue to show, the erroneousness of these to such a degree that Satan, to maintain an empire at all, is forced to resort to a revolution of the masses against the privileged classes, and thereby will overthrow Satan's present order. His resorting to the World Revolution demonstrates the completion of the second stage of his binding. (3) Satan will establish on false teachings a socialistic form of government which, as the third stage of his binding, Jesus will expose as erroneous, by secular and religious Truth; and in a mad dash to preserve some sort of power over mankind, Satan will lead the people on to World Anarchy, which will prove the completion of the third stage of his binding. Thus, at the end of the Great Tribulation, Satan's binding will be complete. He will have run the full course of his pre-Millennial deceptions. In every way the Truth—the great chain—will restrain him, so that he will be unable to move hand, foot or mouth in the way of deceiving the nations during the Millennial "Times of Restitution" (Acts 3:19-21), under the New Covenant. His being cast into the bottomless pit represents his being left to his own unaided resources and speculations and being kept from learning any further truth; and his being kept in the darkness of errors of his own making is meant by his remaining in the bottomless pit, which certainly will be painful. To accomplish this, certain things will be necessary on the Lord's part: (1) to remove Satan so far away from the earth that he will know nothing of what is going on here during that time, and (2) to keep him there away from mankind during that period. This will prevent his learning the secular and religious truths given mankind during that time; and separating him and his demons from contact with mankind will prevent them from having any opportunity to deceive any of mankind. Rev. 20:3, 7 describe Satan's being "loosed a little season" after the 1,000 years of Christ's reign are fulfilled. As Satan's imprisonment means his being in error and away from any contact with the race on earth, his loosing would imply his being brought back into touch with the race and finding out the exact truth on Millennial teachings and conditions. As his binding was a gradual one, extending over many years, so will be his loosing—a permitting of more or less of knowledge to influence by deception—a gradual one extending over many years, though his coming back to the earth will not be a prolonged journey. Satan will make a careful study of the situation, so as to get a thorough grasp of it, as the basis of a plan to seize control of the human race again. Doubtless he will not believe that he will be annihilated at the end of the Little Season, but like Pharaoh, his type, he will persuade himself that God is too kind to take extreme measures against him; and he will therefore hope for another empire and reign over the earth for thousands of years, like his first one. God will allow him to attempt to gain control of the race again, only as a means of testing the hearts' attitude of the perfected race, for the manifestation of those who will be loyal to right principles under heart-searching tests and those who under such tests will not be loyal to right principles; for God is determined to let no person, after having had a favorable opportunity for life, exist after the Little Season, if he will not maintain loyalty to righteousness. So Satan's unbelief and ambition will inveigle him into the role of a tempter; and this will bring upon all a final crucial temptation, whose outcome will be life everlasting to the faithful and cutting off in endless death to the unfaithful (Matt. 25:31-46). Thus, as with Adam and Eve in the beginning, a trial to determine worthiness or unworthiness for everlasting life must be undergone by all, and the stage for that trial will be set in the Little Season. Rev. 20:10 and other parts of the Bible testify that eventually, at the end of the Little Season, God will destroy, annihilate, Satan, "the god of this world" (2 Cor. 4:4). The Greek verb basanizo, from which the word here translated "tormented" is derived, primarily means to test, to examine, and should be so translated here. Eternally those saved from among mankind will examine Satan's evil course of rebellion against God and its sad and baneful results and the evil course of his incorrigible servants and will agree that they justly deserved annihilation (comp. Isa. 14:15-17; 66:23, 24). Other Scriptures state plainly that Satan will be destroyed, as previously mentioned. In Ezek. 28:19 we read regarding him, "and never shalt thou be any more"; for through Christ Jesus, God will destroy him (Gen. 3:15; Rom. 16:20; Heb. 2:14). God will destroy also "the works of the devil" (1 John 3:8) and all the incorrigibly wicked, who follow Satan (Rev. 20:9); for "all the wicked will he destroy"—"they shall be as though they had not been"; "they are extinct, they are quenched as tow" (Psa. 145:20; Obad. 1:16; Isa. 43:17; 2 Thes. 1:9). They will perish in the Second Death, symbolized by the lake of fire (Matt. 25:41; Rev. 20:14, 15; 21:8). One little word overthrows him.